I'll be the first to admit I'm not the biggest fan of the city I live in. Don't get me wrong, I don't have anything against it at all, but it's not like Sydney, London, NYC or Paris, let's be real. But I do love it here, and the fact is, there is tons of things to do in the 'ville and I am finally getting round to doing some of them. I wanted to share, in case you were looking for a destination for your next weekend away! 1. Lots of things to do! This is something I am just discovering myself, but Louisville is home to an amazing entertainment scene. There are plenty of theatres, art galleries, museums and music festivals. There is the Midwest Music Festival, the Kentucky Bluegrass Music & Burgoo Festival, and the Kentucky Reggae Festival. Abbey Road on the River is a huge Beatles themed festival - though 2016 might be the last year. Forecastle is a huge deal (I accidentally got married on that weekend, which made for fun hotel rates for out of town guests) and draws people from all over. There is also a Lebowski fest and Shakespeare in the Park (free!). You guys, there is even a Jane Austen Festival, which I am so going to next year. 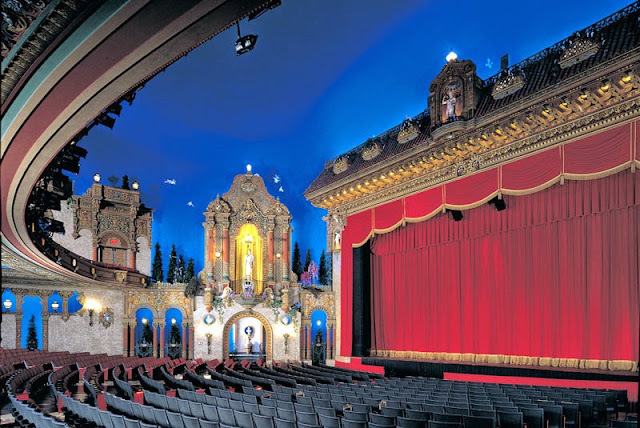 The Louisville Palace is the place for all your favorite shows and concerts in the Theatre District, and there apparently isn't a bad seat in the house. It’s also located close to The Brown Hotel, you can eat a Hot Brown and then hop over to the Palace. I'm waiting for something I actually want to see before I visit. As for museums and such, Louisville is the hometown to Muhammad Ali, and you can visit his childhood home or the Muhammad Ali Center. There's the Louisville Slugger Museum (and Factory! ), even if you're not a baseball fan it's quite interesting. To mention a few more – Frazier History Museum, Glassworks (so fun and a gorgeous wedding venue!) the Kentucky Science Center, and Kentucky Center for the Performing Arts. If you’re in the mood for relaxing or strolling around a park - There are so many parks around the city, there’s always one close to where you are. The Louisville Mega Cavern contains six different ziplines that are all fully underground as well as the world’s only fully underground drive through Christmas light show. You seriously have to see this cave to fully realise its massive size. Now for some ‘scary stuff’. 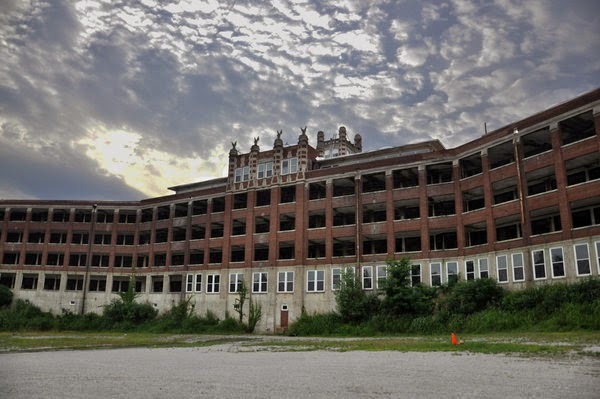 Waverly Hills is a historic gothic sanatorium, and it doesn't get much scarier than that. It was once, according to the Waverly Hills history page, a city in and of itself, complete with its own zip code that housed patients with tuberculosis. Today it's visited by shows like "Ghost Hunters" and "Paranormal Challenge" and a hot spot for some Halloween fun. It sounds terrifying. Louisville is also home to the world’s largest zombie walk with over 20,000 participants. The event takes place every August 29th and is a free event so you have no excuse to not participate. I think that sounds more my style! Yes, sports gets its own category. People from Kentucky take their college sports really, really seriously. I mean, I'm sure other places do as well, but I don't live there do I? 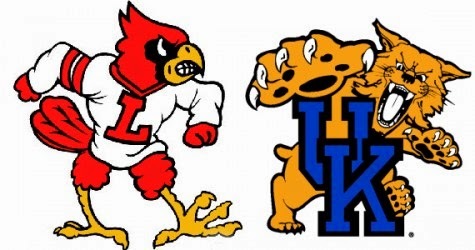 The rivalry between the University of Louisville (UofL) and the University of Kentucky (UK) is probably the most famous in the country (what do I know?). Tickets are fairly cheap and it's a fun time to go to a basketball or football game. You might even get free papa johns if you go to a football game. You can also check out the Louisville Slugger Field - it's quite cheap to catch a baseball or soccer game there. 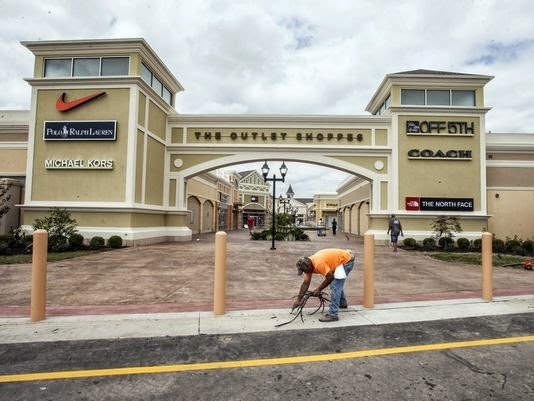 Okay, there isn't a whole lot of amazing shopping in Louisville itself - I'd recommend Oxmoor Center, Mall St Matthews and Shelbyville Road Plaza (Nordstrom Rack, Off Broadway Shoes and the Nike Outlet) if you want to though - all of which are located within 1 mile, no joke. For outlet shopping though, about 20 minutes away in Simpsonville there are a bunch of outlets and about half an hour away in the other direction, there is the Zappos / 6pm outlet where you can get Hunters for $50 (apparently…). I recommend weekdays, if you can swing it. The weekends are a mad house. The Highlands is one of my favourite parts of Louisville, but we don’t go there nearly enough. On Bardstown Rd in the Highlands you’ll find a hipster strip of shops and bars, not to mention many ‘Keep Louisville Weird’ stickers. 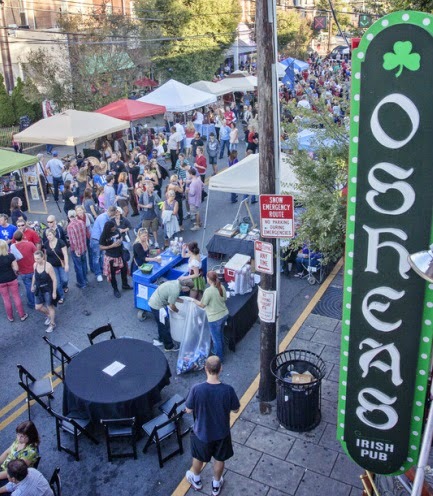 The Highlands Fest is on the 29th of August and it is a ton of fun. We went last year but didn't make it this year. If you like bourbon, Louisville is the place to visit. You go to Napa Valley for wine, you come to the 'ville for bourbon. This is the traditional starting place for the Bourbon Trail; there are plenty of bourbon tour things you can do, like the Urban Bourbon Trail, Mint Julep Tours, the Evan Williams Experience and the Kentucky Bourbon Trail Craft Tour. The Thirsty Pedaler sounds so fun, but you need a group of people to do that. Against the Grain is a great restaurant and brewery to check out. I don’t know about you, but eating is my favourite thing to do when I travel. So if a food tour sounds more your stlye… Check out City Taste Tours or Louisville Food Tour. Here is a list of a bunch of places to eat and drink in the ‘ville, though I’m clearly not a local as I haven’t been to any of those places. I really need to eat at The Comfy Cow. Greatest 2 minutes of sports, anyone? Honestly though, the Kentucky Derby is so much more than a horse race!! Okay, the party itself is super fun - see my guide here - but the Derby festival (Fest-A-Ville) has so much to offer – Thunder over Louisville, the Chow Wagon, Balloon Fest, Beer Fest - even a marathon (or half!) if you're so inclined. If you can't make it to the Derby, fear not - you can still visit the Derby Museum and Churchill Downs - there are races throughout the year. 7. Louisville is the best place to start a road trip. Apparently, the best place to start a road trip in the US is Louisville. I was not expecting that! I'm always bummed that there aren't a lot of close destinations that we could just whisk away to for a weekend, but it turns out I was wrong. I know I'm trying to convince you to visit Louisville and starting a road trip from here doesn't really encourage that - but it would make a great stopover destination on your way to somewhere else like Cincinnati (1.5 hours) Indianapolis (two hours), Nashville (2.5 hours), St. Louis (4 hours), Chicago (4.5 hours), or Atlanta (6 hours). A trip to Louisville can easily turn into a quick trip to another awesome spot. Bonus reason - pronouncing the name of the city is super fun. I mean, it's no Wisconsin (can't say it) but you should learn how to say it before you visit! Although I have lived here almost 4 years and have heard it pronounced all different ways, even by the locals! There are tons of other reasons to visit Louisville -it's the nation’s largest supplier of disco balls, birthplace of the Abraham Lincoln and song “Happy Birthday,” not to mention Old Louisville is one of the largest Victorian districts in the United States, and "beautiful" is an understatement. Linking up with the girls. Did I mention we have a 68,000 pound Louisville Slugger baseball bat, I mean, don’t we sound fun? 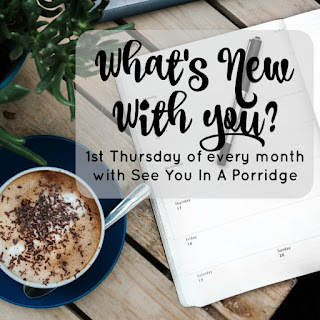 When are you coming? I only ever visited the Ville twice while I was living in KY but I had a good time both times! I mean... where was this post 3 months ago?? My fiancé so wanted to do the ziplining through the caves thing but it was either that or visiting Maker's Mark. Maker's Mark won! I've never thought about a trip there, but I like what you're showing me here! And I've never been to Kentucky so I could cross another state off the list. My friends have done Abbey Road on the river for the past five or six years and they absolutely love it. stop it right now?! 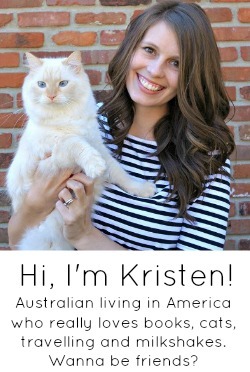 i didn't realize you lived in the same town as my parents. well bc i barely pay attention yes. but this is great! i'm a UK fan through and through and reading this post i was just nodding my head to all of it haha. i love the derby, bourbon, and everything in between. my parents house isn't far from those outlets in simponsonville - so i have made a stop there more than once! this is a great list! YOU KNOW I'll COME VISIT! I so love the outlet mall... Coach & Kate Spade has amazing prices compared to online! Yes to all the rest. I do love Louisville - the city. I absolutely LOVE Louisville. It's such an easy drive from where I live too - an hour and a half and a straight shot. I almost rather go there honestly than the city that's about an hour away from us because there's significantly more to do in Louisville! My favorite place to eat there though are Sidebar and Doc Crows! Such a great post! I'll definitely stop by Louisville sometime. Those caverns alone are enough to make me want to visit...a cave and a zipline?! Yes please!! Sign me up! I had no idea most of these things existed but now I have a strong need to do them all. I also didn't realize how close you are to a lot of things and places. I never put it together that Chicago is that close until you mentioned it the other day. And you're only 5 hours from me but if I had had to guess I would have said at least 10 hours haha. My brain seriously distorts the geography of that part of the country for some reason. You make Louisville sound so appealing. It definitely went on my bucket list. I've never been to Kentucky and Music Festivals, and Giant Baseball Bats and Zip lining all in one spot sounds like a plan to me! Its on my bucket list to go to the Kentucky Derby someday! 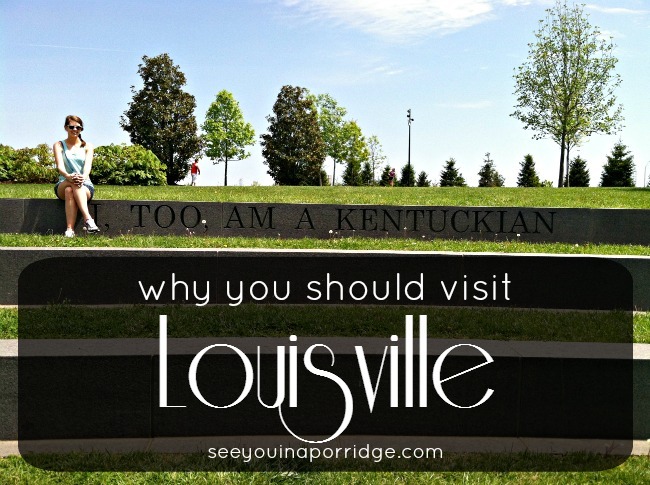 I didn't know that there was so much more in Louisville, and now I want to check it out! Louisville sounds like fun! It makes me wonder about all of the hidden gems that I may not know about my own city. One of these days I will make it to the Kentucky Derby!! It's on my to-do list! I've only passed Louisville while on the way to Nashville but it seems like a pretty nice city. Not to mention it's close to Nashville so it would be good for a weekend getaway! The food sounds tasty, I love finding tasty new treats in new places. The Waverly Hills place sounds super creepy but also kind of intriguing, so I'd like to go there! I would LOVE to come and visit Louisville. Love to. Kentucky sounds like a cool place to spend a few days! All of this looks really fun especially the Mega Cavern!!! Okay seriously you won't believe me when I say this, but Louisville is on my bucket list of places to visit! I've always wanted to go to the Derby, and Ryan has a barrel of bourbon currently aging at one of the places on the trail, so we will be visiting there in the next couple years to drink from it! :) And, hello Jane Austen festival and the Abbey Road on the River - maybe we need to think about going next year! I loved Louisville when I visited for a conference in college. We stayed at the Galt House, and it was such a beautiful hotel! Back then, I didn't like baseball at all, and I loved the Louisville Slugger museum! I remember there was this whole hilarious situation where we wanted to take our tiny Louisville slugger bats home, but we couldn't carry them on because they are considered dangerous. AHHHHHH!!! I'm going there! No like, literally, I already booked a place to stay because I'm going on the Bourbon Trail for my birthday in December, and though we are staying in Bardstown, we're stopping in Louisville! This post could not be more timely! Also, I love the Big Lebowski, so I may have to plan a summer trip there as well! I'm heading that way in April. Hopefully I'll have some fun things to do while we're in town. :) We are actually going to a wedding in Cincinnati, but plan on seeing some of the nearby sights. Louisville looked pretty close on the map. The Mega Cavern sounds amazing and definitely unique! I'm pretty afraid of ziplining in a random jungle but I might be okay with doing it there. Seems more legit. 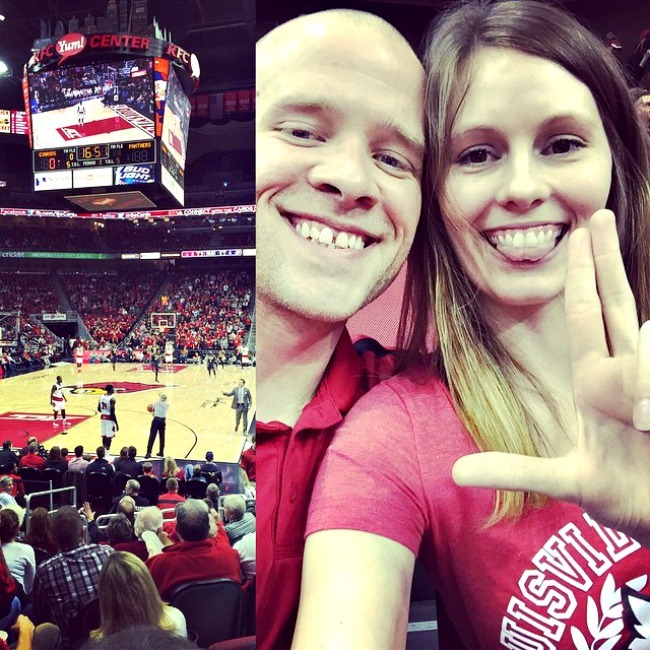 I've honestly never given much thought about visiting Louisville but this post completely changed my mind! I love that the music scene is so busy and woah nelly with the FOOD options! I hate trying to drive in Louisville, but that may be because I have no clue where anything is. Waverly Hills is my fave. I love it there. 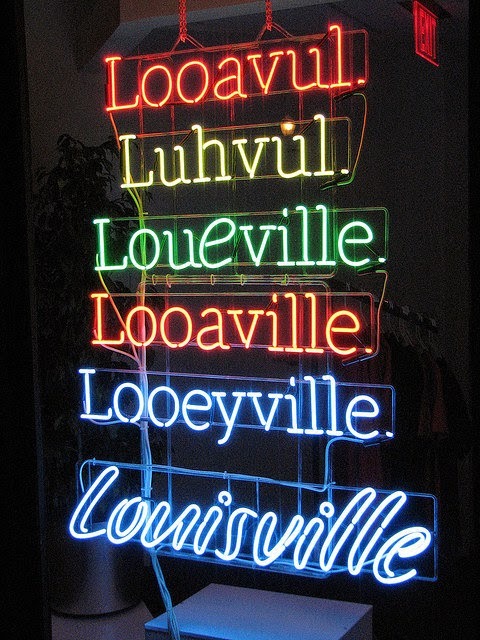 Last year I was in Berea at an arts center and heard a guy as the tour guide if the name of our capital is pronounced Louis-Ville or Lou-a-Vul. She said Lou-a-Vul. He said really? I thought it was Frankfort. I literally laughed out loud. So, I must ask, how do you pronounce our fair city's name? I'm not a native of Louisville and I sound it! I say both Loo-uh-vul and Looey-ville. If I am giving my address for something, I ALWAYS say Looey-ville. My husband, on the other hand, who was born and raised here, says Loo-uh-vul and sometimes Loo-vul. LOL!. Great piece. I even gave you a shout-out on Twitter! Zipling through a cave, H would be all over that! I would love to get my fancy hat on at the Derby, sounds like so much fun things to do in your city! Sign me up for the drive through the Christmas lights in the cavern! That sounds amazing! And of course, visiting during the Kentucky Derby would be amazing, and it would give me an excuse to buy a big hat! Louisville sounds like a fun place to visit, and it sounds like there's so many close places that you could drive to! Everything in Texas is at least three hours away. My hubby would love to go there even just for Louisville Slugger! Someday we'll make it! My best friend is from Louisville so I definitely want to take a trip down there with her sometime! I love LOU-UH-VULL :) It's so nice being less than 2 hours from it because it makes for a fun little weekend getaway for us. 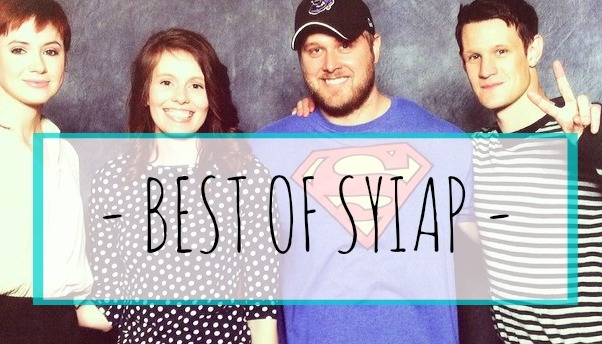 We've been once a year for the past few years and always find something new to do, somewhere new to eat, etc! :) Love all your recommendations- definitely need to circle back to this post before we head down again! Your town sounds a heck of a lot better than the small town I live in! 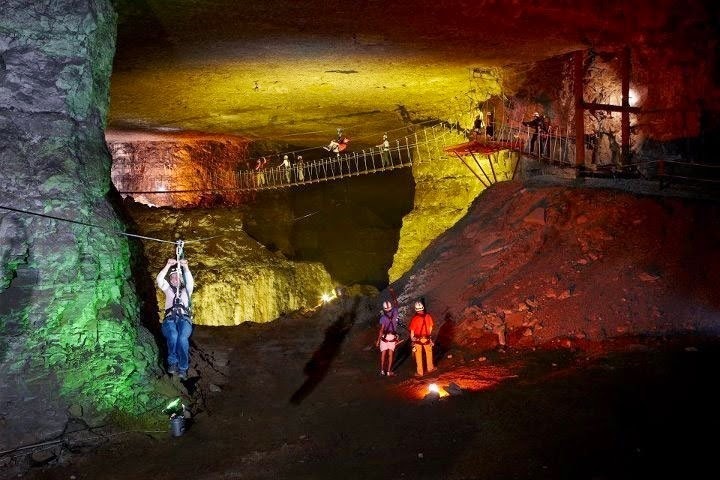 Underground zip lining sounds pretty freakin fun! My husband has layovers in Louisville almost weekly and I've always wanted to tag along. I was there once when I was 14 for a judo tournament. 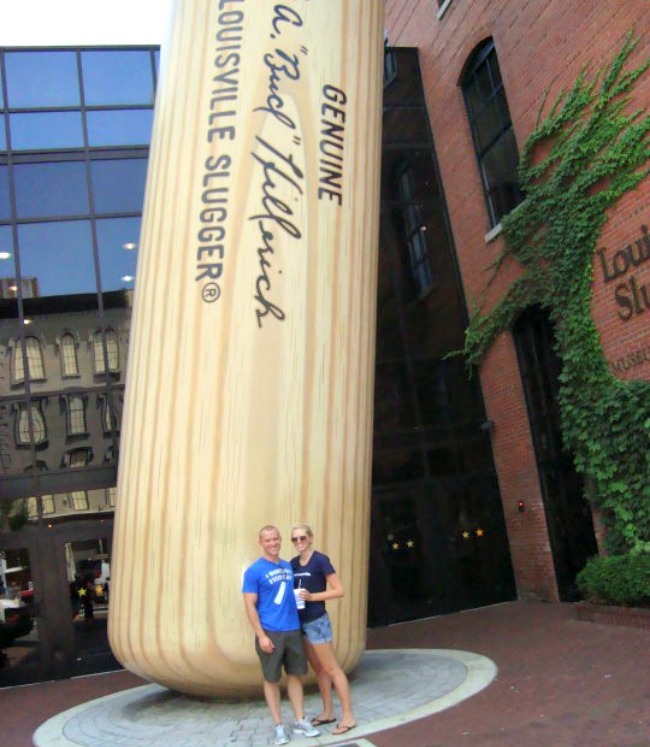 We stayed across the street from the Louisville Slugger Museum so I remember the giant bat...and that was about it...but I would love to visit it and really explore! I've never been to Louisville but it looks like there is a lot to do there. The mega cavern would be something I would try. I haven't been to Kentucky but it's part of my bucket list (getting to all 50 states). Looks like there are a lot of fun things to do! I had to do a double take of the Louisville Palace - it looks just like one of our old/historic movie theaters! I've been thinking about doing a similar sort of post for Omaha (mostly because people are always like, "Why would I go to Omaha? "), but I haven't figured out everything I want to write about yet. I didn't realize there was so much to do there! I definitely want to visit somewhere down the line. I'm interested in reserving this place because choosing the right venue which does not favor a specific culture becomes difficult. Halls here have fountains and elaborate pictures. Some venues in Los Angeles display traditional artifacts and paintings. 2 ways to save big $$ on flights to Europe! The best career advice I ever received.